What Happens If a Child Is Born With Birth Asphyxia? Birth asphyxia is a complication that can occur during labor and cause mild to fatal injuries to a baby. The World Health Organization (WHO) reports that two-thirds of newborn deaths are preventable if effective treatments are implemented at birth and in the first week of life; however, sometimes doctors and medical staff make mistakes with these treatments. When mistakes cause birth asphyxia, you may want to seek compensation by hiring an attorney to file a birth injury lawsuit. If you believe your baby’s birth asphyxia and resulting injuries were directly caused by the delivering doctor and medical staff, you should speak with an attorney. The Holton Law Firm has been a trusted source of legal help in our community for decades, and we can assist with your birth injury lawsuit, too. Get started by filling out the online contact form on our website. What Is an Emergency C-Section? What is neonatal head cooling? Nearly four million babies are born each year in the U.S. And while childbirth is a common occurrence, delivering an infant can sometimes be challenging and difficult, causing complications later on. The World Health Organization reports that three-quarters of all newborn deaths occur in the first week of life. And some of these can be attributed to brain damage during the birth process. However, doctors can slow the effects of swelling and injury by using neonatal head cooling. Because medical personnel must meet a standard of care when delivering a child, failing to meet that standard in any way can lead to a birth injury lawsuit. If you suspect your baby was injured as a result of head cooling or a medical mistake created the need for head cooling treatment, it’s important you seek help from a trusted birth injury attorney. The legal team at Holton Law Firm is ready to advocate for you and your baby, and we invite you to review our free guide, Answers to Parents’ Questions About Birth Injuries. In 2014, 32.2 percent of all births occurred by cesarean section, or C-section, according to the Centers for Disease Control and Prevention (CDC). In some cases, performing an unplanned or emergency C-section can prevent life-threatening complications for both mother and child. However, this type of surgery also comes with some risks. Failure to Progress. Sometimes, labor stalls and the baby doesn’t progress down the birth canal. This can pose significant risks to the mother and child. Lack of oxygen. 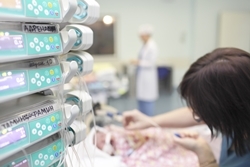 During labor, a baby needs sufficient oxygen before there is a risk of brain damage. Sometimes, performing a C-section can get that oxygen to a baby more quickly. Estimates show that a baby has only 15 minutes without adequate oxygen before serious damage occurs. Abnormal fetus position. If the fetus is positioned abnormally in the uterus, a vaginal birth might not be a viable option. Small or abnormal pelvis. Some women have undersized or abnormally shaped pelvic bones, which can complicate the process by which the baby exits through the birth canal. Large infant. If the mother has a small pelvis, and the baby is large in size, a vaginal birth may be impossible without injuries to both. Umbilical cord concerns. If the umbilical cord exits through a mother’s cervix before the baby, or if the umbilical cord becomes pinched or compressed, a C-section might be a safer procedure for birth. Previous C-section. Women who’ve experienced a C-section can still give birth vaginally, but a doctor may suggest a second to prevent injury to the mother. If you believe the medical staff did not handle your emergency C-section properly and you or your child suffered injuries, you need experienced help. The team at the Holton Law Firm provides excellent legal help while also serving each client on a personal level. If you have questions, reach out to us by filling out our online contact form. 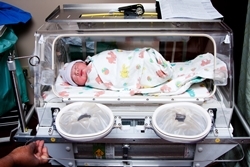 What happens to the baby when there is Hypoxia during labor and delivery? Is it possible to obtain another driver’s cell phone records after an accident? In 2014, over 400 people died as a result of cell phone-related distracted driving accidents, according to the National Highway Traffic Safety Administration (NHTSA). However, making a case against a distracted driver can be complicated, especially when you need the cell phone records from the at-fault driver. It’s possible to obtain these records through a subpoena, but you need an attorney to first file a lawsuit on your behalf. When asking the court to issue a subpoena, keep in mind that most cell phone carriers only keep certain records such as cell phone logs for a limited time. 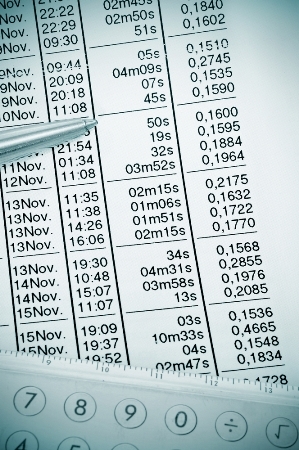 Moving quickly to file a lawsuit and issue a subpoena is critical. The time of the accident. If you suspect the at-fault driver was using his cell phone, it’s important to log the time of the accident, report it to the responding police officer, and ask her to include that time in the police report, so your lawyer can use it in court. The cell phone activity window. Cell phone records provided by the at-fault driver’s carrier can show times and durations of incoming and outgoing calls, timestamps on text messages, and data communications with satellites used in GPS features. By showing a correlation between the time of a call or text message and the accident, your attorney can argue that the accident was in fact caused by the at-fault distracted driver. If you believe the driver who caused your accident was on his cell phone, it’s important to contact an experienced attorney to file a lawsuit and obtain cell phone records through a subpoena. 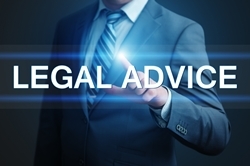 The legal team at the Holton Law Firm provides excellent legal services to our clients, and we can help you, too. Contact us today by calling 888-443-4387. What can I do if an uninsured driver hits me? 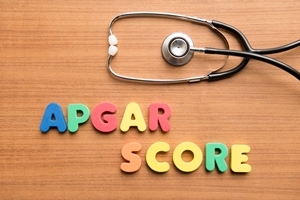 What are APGAR scores, and why are they important? At 5 minutes and then 10 minutes after birth, a doctor or nurse will use the APGAR scoring system in the delivery room to evaluate a baby’s overall health. A perfect APGAR score is 10, and each component can earn 0 points, 1 point, or 2 points. All five scores are compiled to get the APGAR score. Additionally, the score is recalculated more than once to give a baby a chance to improve with time. If you have questions about the APGAR scoring system, or if your baby was injured during delivery, the experienced lawyers at Holton Law Firm are here to help. Request a FREE copy of our book, Answers to Parents’ Questions About Birth Injuries today. As an expectant mother, the life and health of your baby is your first concern. However, pregnancy can be a complicated process with many risks. One of the greatest risks is placental abruption. This pregnancy complication occurs when the placenta separates from the uterine wall. When the placenta detaches, the baby is unable to receive any oxygen or nutrients through the umbilical cord or placenta. 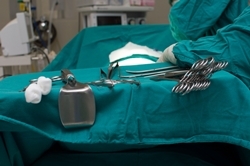 Because placental abruption is life threatening, it is imperative to deliver the baby as soon as possible—either by cesarean section or, if the baby has made significant progress out of the birth canal, through a vaginal delivery. Often, a pregnant woman will know placental abruption occurred because she will experience extreme abdominal pain, especially if she is in labor. 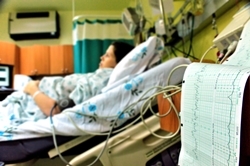 If she is already at the hospital, the doctor will diagnose the mother with placental abruption because the baby’s heart rate will decelerate with no sign of recovery. In general, medical professionals cannot point to a specific cause of placental abruption; however, the Mayo Clinic cites trauma or injury to the abdomen as a possible cause. Car accidents or a trip and fall can cause this pregnancy complication. When trauma to the abdomen occurs, the mother might experience a rapid loss of the amniotic fluid cushioning the baby. Previous placental abruption. If you’ve experienced placental abruption before, your risk is higher to experience another. High blood pressure. If you have high blood pressure, either as a result of pregnancy or as a pre-existing condition, your risk is higher. Blood clotting issues. If you have a history of blood clotting problems, your risk is greater. Older age. Women who become pregnant later in life have a higher risk of this pregnancy complication. Placental abruption can happen to any pregnant woman and can threaten the life of both baby and mother. If you have questions about the cause of your placental abruption, contact the experienced attorneys at Holton Law. Give us a call at 888-443-4387, or fill out our contact form to learn more about your legal options. What if I suffered a uterine rupture during labor? As a responsible driver, you follow the laws that govern road safety, and you keep your auto insurance policy up to date. However, not all people carry auto insurance, even though Tennessee state law requires drivers to have liability insurance. 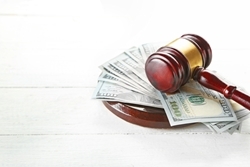 If you’re hit by an uninsured driver, you may wonder who will pay for the damages. If you were hit by an uninsured motorist, you should first check your own policy for uninsured motorist (UM) coverage, as auto insurers offer coverage against drivers who don’t carry insurance. To find out if you have UM coverage, get a copy of your policy from your insurance company, check your declarations page, and look for UM coverage. If you have it, there should be a dollar amount listed next to it for how much your policy covers you against uninsured motorists. What If I Don’t Have UM Coverage? Personal injury protection. Your insurance policy may provide personal injury protection coverage, which should cover any injuries from the crash. Again, check the declarations page on your policy to see if you have this type of coverage. File a claim against the at-fault driver. If you pay for your own medical bills, rental car, and car repairs, it’s possible to file a claim against the uninsured driver to recover these costs. If you’ve been hit by an uninsured driver and you have questions about your insurance policy or how to proceed with filing a claim against the driver who hit you, call the experienced lawyers at Holton Law. We can help you navigate the legal process to recover damages after the accident.